One Accommodation Makes a Big Impact! As the first and currently only accommodation on Anguilla to participate with Pack for a Purpose, Frangipani Beach Resort has been thrilled with the wonderful response from our generous guests to give back to the local community. 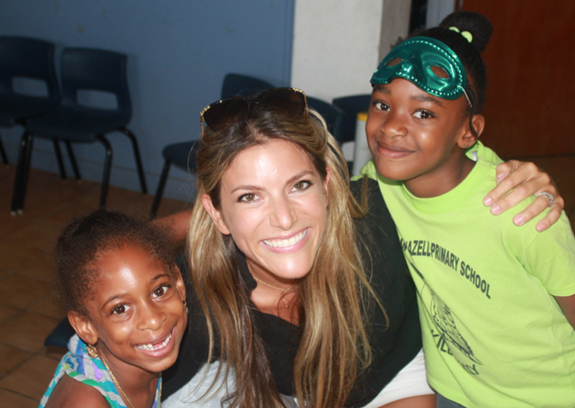 We delivered our second installment of supplies to Anguilla’s Blowing Point Youth Development Center and got to chat with some very excited children who were the recipients of nearly 35 pounds of art supplies, plus writing and study materials. The resort’s relationship with the center has been successful for its first year and we anticipate it growing as more visitors learn about Pack for a Purpose. The center operates almost entirely on a donation basis so it’s been wonderful for us to craft a targeted list of needs and watch donations trickle in to help these children work not only on academics, but allow them to enjoy arts, computer-based learning, and leisure reading. As the Pack for a Purpose initiative continues to thrive, we hope to expand our work in the community to include other youth development centers on the island.